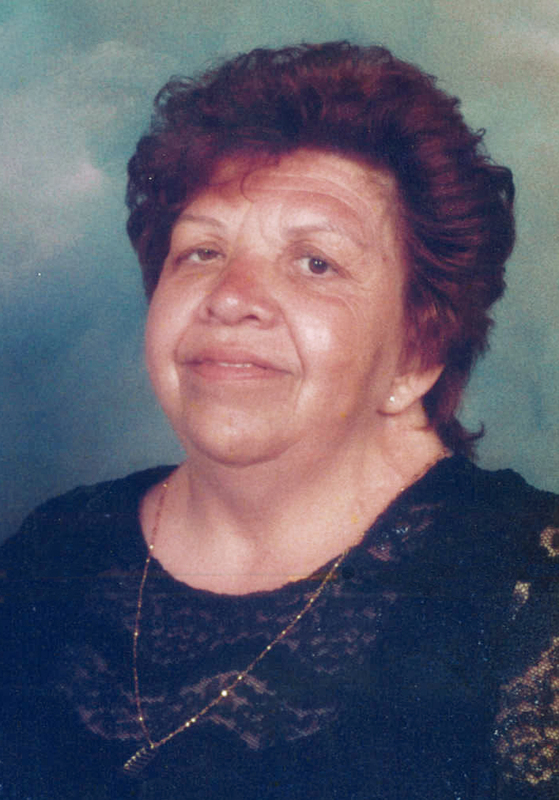 Provide comfort for the family of Halina Gilkinson with a meaningful gesture of sympathy. Peacefully at North York General Hospital on Monday, April 15, 2019 at the age of 69. 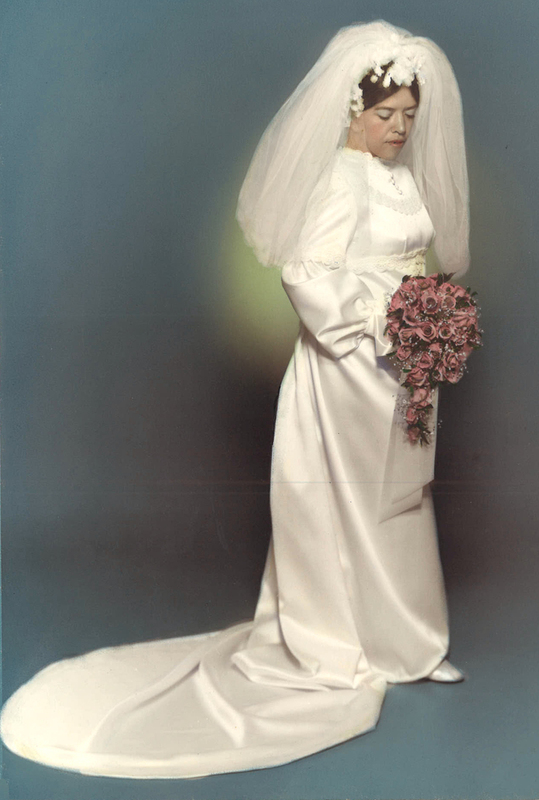 Beloved wife of Larry Gilkinson. Dear mother of Derek, Jennifer (1976) and Christopher. Remembered by her sisters Lynda, Krystina and Luscia (Marak). Halina will also be greatly missed by other relatives and many friends. Funeral Service will be held at Dods & McNair Funeral Home, Chapel & Reception Centre, 21 First St., Orangeville, on Saturday, April 20, 2019 at 11:00 a.m. with Visitation beginning at 10:00 a.m. Memorial donations to Good Friends Fellowship-Lighthouse would be appreciated by the family. We encourage you to share any memorable photos or stories about Halina. All tributes placed on and purchased through this memorial website will remain on in perpetuity for generations. 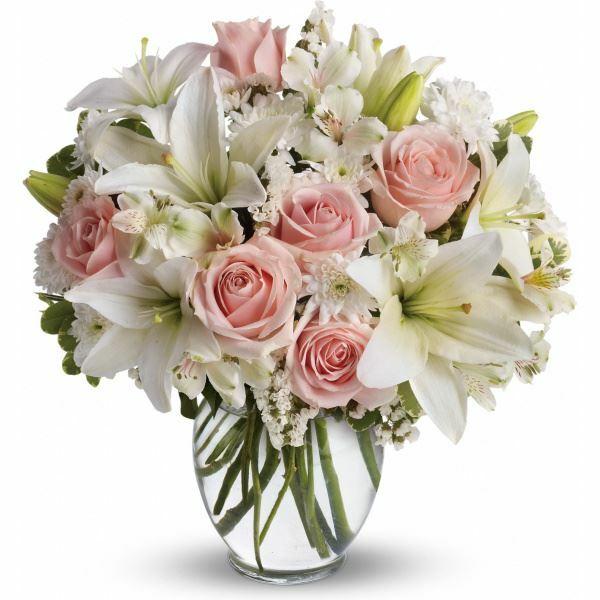 Provide comfort for the family of Halina Josefa Gilkinson (Poltorak) by sending flowers. 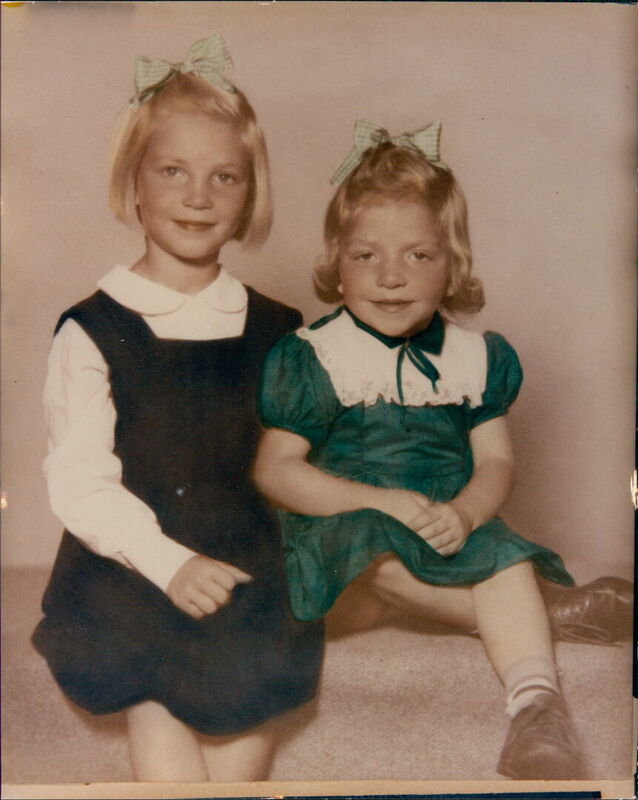 To remember my much loved older sister is painfully bittersweet. Taken too soon she was so many things to me and having her has been a source of strength and courage throughout the years. Knowing that Halina is gone is a great loss for us all. She was an influential figure and supportive friend to me. I will love you forever my dear sister and will never forget your shining spirit, loving wisdom and charitable heart. My sister Halina, was the bravest person I ever knew. She bore her afflictions with determination and forbearance. She dared the carriers of ill will and earthly pain to bring her down. She rose up strong in the face of all adversities to laugh and spit in their eye and dared them to do their best. She was not to be trifled with! She loved to sing and dance and she was good at it,[we get that from our Mama],and so Christmastime was full of caroling in English and Polish both; all of us harmonizing, with Halina, the loudest and most joyful. What a laugh she had. She was funny, so she had us in stitches all the time. She made faces and did impressions of our favorite cartoon characters and when we would watch the Ed Sullivan Show on Sunday nights, I would often say, "You should be on TV too, Halina". She loved practical jokes, leaping from around doorways with a roar scaring the pants off our little sister Krys, or coating her unsuspecting victims with a spray can of shaving cream. Ask Lucy or Larry to tell you that story. But one time, the joke was on her when Krys and I took her out on one of her visits home. Swathed in a leopard printed wrap and with only one glass of wine, that we talked her into, she toppled over on her borrowed five inch platform shoes. Krys and I nearly peed our pants watching her wobbly struggles with those silly shoes. She wasn't hurt and laughed along with us but... we watched our backs for awhile after that. And...she was smart. She was the one who gave the valedictory address for the "Class of '67, Hillcrest Highschool. I was her stylist in those days and I'll always remember how pretty she looked when I swept her hair up in cascading curls and, she stepped out in her mint green evening gown to go to her graduation dance. When she left for Toronto to continue her education at "Osler", Humber College, little did we know that she would soon be swept off her feet by the cute brother of one of her classmates. Shortly after graduating as an RN, Halina and Larry returned to Thunder Bay to get married and we all celebrated their wedding. However, it wasn't long after they started their life together that tragedy struck. They were the victims of a serious car accident that left them lucky to be alive while the other driver wasn't so lucky. That accident changed the course of their lives. Still,, after a lengthy stay in hospital they tried to begin anew. 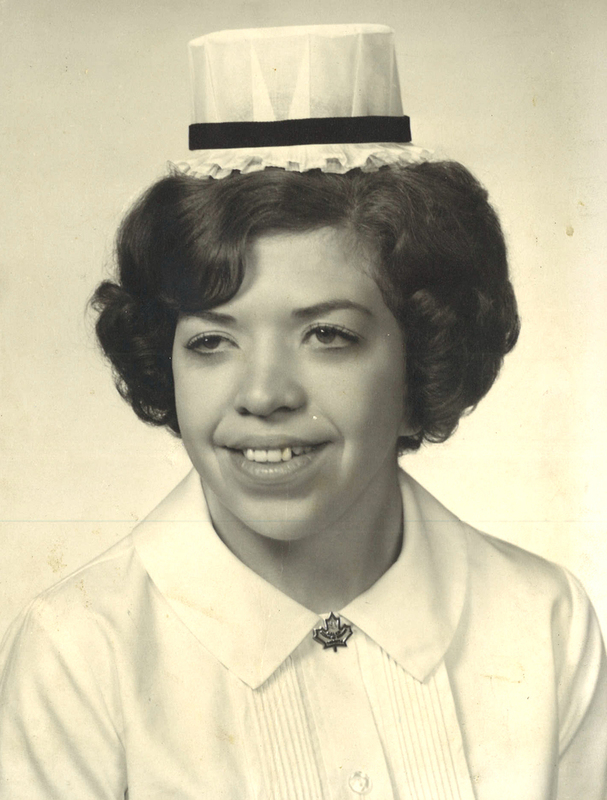 Throughout a protracted recovery period, Halina's career was on hold, but when she found she was pregnant, Halina was thrilled, and she never returned to nursing. Her first baby boy Derek, was a curly haired little cherub and he was her moon and stars. So they bought their home in Orangeville and settled in, happy, mostly healthy, residuals of the accident notwithstanding. But, happiness was not to last. Halina was overjoyed with the prospect of another child, but when her tiny baby girl came prematurely, all of Halina's devotion and ministrations over the next weeks were for naught because, baby Jennifer passed away. Halina never recovered from that. But then, little Christopher came along and Halina's natural mothering gave her purpose and joy again. She doted on those boys, nurturing, protecting and even home schooling, all while coping with debilitating pain. Halina suffered from rheumatoid arthritis and complications of the disease for most of her adult life but she bore it with courage and didn't let it get the best of her. As I said, she was the bravest person I knew. Our lives took us in disparate directions and we didn't see much of one another but we always enjoyed those visits whenever they made the trip, only as time went on, and her disease progressed; in spite of her bravery she just couldn't do it anymore. When we spoke last Saturday, she told me she was grateful to Larry and Christopher for all their tender care, but she was ready to let go. So, I guess that's what happened. So hug Daddy, Halinka, and give baby Jennifer a kiss from us. I know you will. Posted on behalf of Lyn Bodner, Halina's eldest sister. 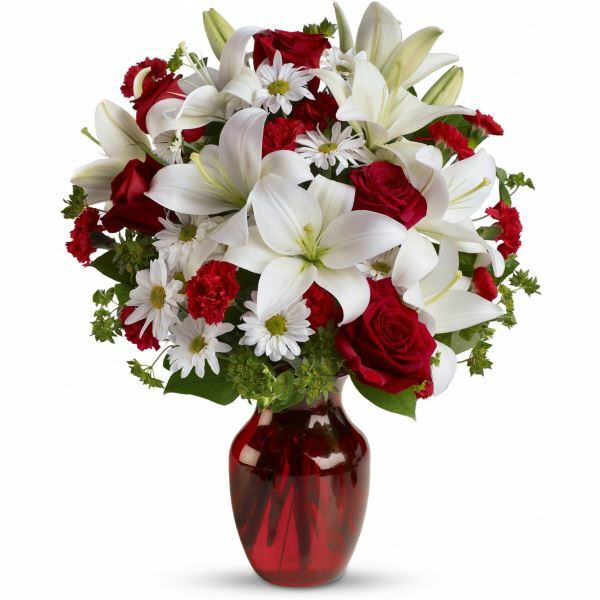 Heartfelt Sympathies Store purchased flowers for the family of Halina Gilkinson. Sincere condolences of the loss of our Ciocia Halina. Thinking of you during this difficult time. Remember that we love and care about you.